Prepare to Die Again seems like it’s the perfect fit for players who want to experience Dark Souls all over again. The mod offers altered starting classes with new starting gifts, as well as an entirely new character. There are also altered bosses, many of which will now use new projectiles or attack patterns with different timings. If a clean slate doesn’t sound like enough of a challenge, the mod features additional challenge items to make the game even less forgiving than it was before. To help out, however, there’ll be new weapons (based on cut content from the original game) and new spells and rings to tweak your new playthrough even further if you’re prepared to explore. Overall, the mod’s creator, FTRichter, says they’ve rebalanced more than a thousand in-game items, and have also entirely rebuilt the game’s bow and crossbow systems. Those will now scale with strength and dexterity, and feature improved animations and multiple ammo types. If you’re a lore buff, you’ve also been catered to, as there’ll be new enemies and more scattered across Lordran, as well as new item descriptions and “lore-friendly” stories to help bring the world to life. Bosses have been reimagined around cut content, and Oscar, Shiva, and Artorias have all undergone changes. 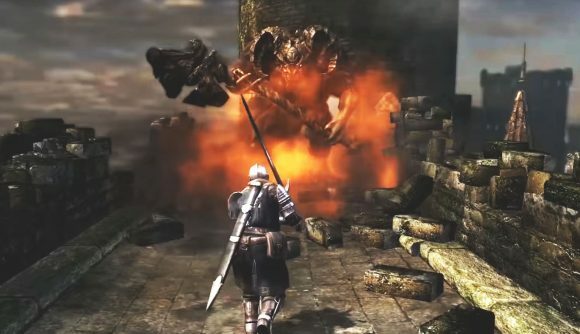 You can download Prepare to Die Again from Nexusmods, and FTRichter has offered walkthroughs to get the mod working with both the original Prepare to Die edition and Dark Souls: Remastered. The trailer above suggests that the mod is in relatively good health, but FTRichter says there’s at least one more major update planned – which should mean you’ve got time to finish of Sekiro before the final version of the mod is released.